Often overshadowed by Dubai’s immense popularity Abu Dhabi is often overlooked as a destination. Just a 3 hour 40 minute flight away the Emirate offers year-round sunshine, golden beaches, water parks, desert drives and, of course, shopping. 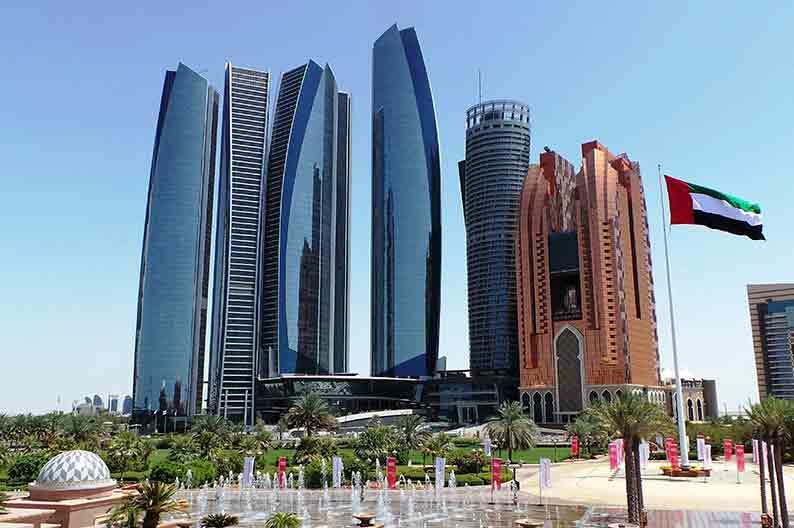 Abu Dhabi is a well established holiday destination offering a clean, safe environment with classy hotels and restaurants. The Emirate has a lot to offer, with a mix of impressive skyscrapers, exciting attractions, shopping centres and traditional buildings. Abu Dhabi has some great sights such as the breathtaking Sheikh Zayed Grand Mosque, the 18th Century Qasr al-Hosn palace and fort and historic Arab landmarks, including the Garden City of Al Ain – a UNESCO World Heritage Site. Although the official language is Arabic, English is widely spoken and visitors will have few communication difficulties. The city is easy to get around and transport is clean, cheap and efficient. The ideal time to visit is from November to May, when the temperature is around 25ºC and you can walk outside comfortably. In July and August the temperature regularly reaches 48 ºC, However, with air conditioning in most hotels, restaurants and shopping malls a visit is possible at any time of year, it is well worth taking a jumper as the indoor temperatures can be very cold. 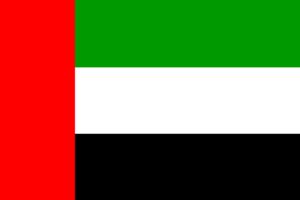 Abu Dhabi is regularly host to many events including concerts, exhibitions and sporting events. So, before planning a trip, it is worth finding out what is happening around the time you plan on visiting. This year, for example, the Abu Dhabi Formula 1 Grand Prix will be on 25th November at the Yas Marina Circuit on Yas Island. Without a doubt Abu Dhabi is a must for anyone looking to see some of the world’s most iconic sites. Abu Dhabi’s blend of traditional and modern sites makes it perfect for sightseeing. The Corniche is widely considered to be one of the best parts of Abu Dhabi and is one of the most popular points in the city. Stretching for about eight kilometres, from Emirates Palace to Mina Port this is Abu Dhabi’s seafront with an attractive pedestrianised promenade next to the beach which incorporates a cycle track and palm tree gardens. There are plenty of places here to get a cool drink or delicious snack, from the numerous cafes and restaurants, and take in the views of the city’s skyline. 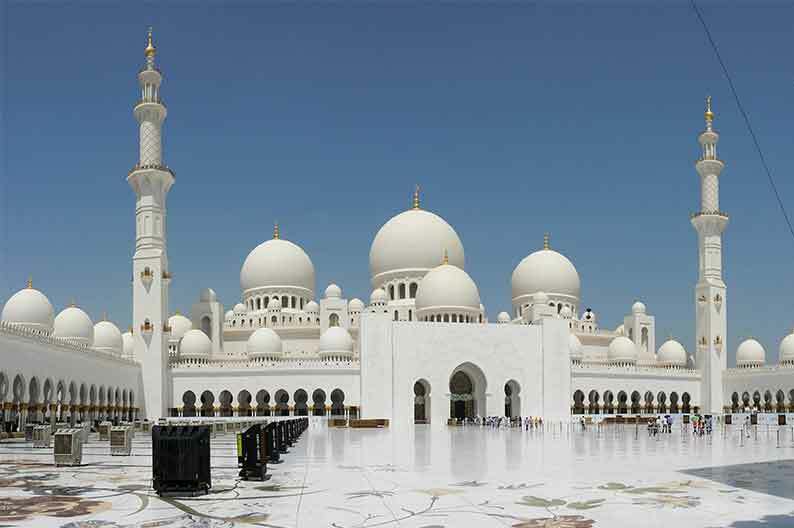 Visiting the Sheikh Zayed Grand Mosque, the 6th largest in the world, is a must. Admission is free and general visiting hours are from Saturday to Thursday (9am to 10pm). There are hourly tours in English between 10am and 5pm.The Mosque is closed to tourists and open for worship on Friday mornings and opens again to the public at 4.30 pm. It’s important to adhere to the dress code when visiting the Mosque. Long, loose fitting, ankle length trousers for men or skirts for women must be worn. Yas Island features the world-class motor sports racetrack which plays host to the Abu Dhabi Formula 1 grand Prix. 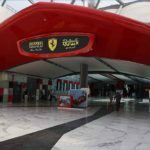 You will also find an indoor Ferrari theme park featuring a 150mph rollercoaster, a water park, and an enormous shopping mall. For the more adventurous a Desert Safari is highly recommended. You will be taken out for a white knuckle ride over sand dunes, finished with a lavish dinner with music and dance to complete the atmosphere. With so much to do and see, Abu Dhabi is a great destination.